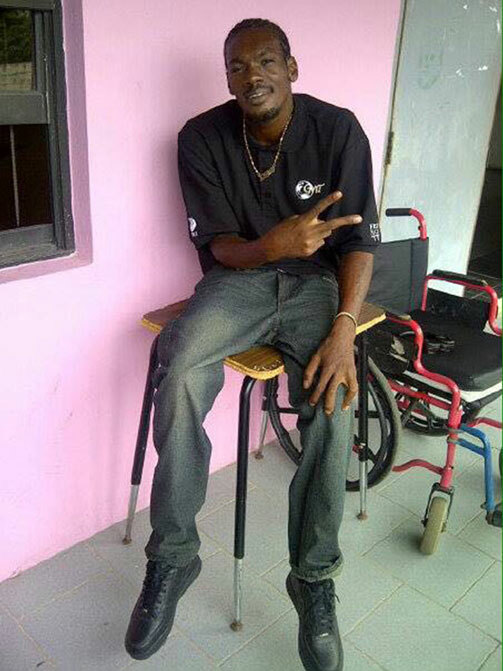 A wheelchair-bound man was killed execution-style in his Stapleton Village, St. Peter’s home on Wednesday night (May 18). Information reaching The Observer stated that police found the body of 29-year-old Antonio Richardson lying in his home with a bullet wound to the forehead and he was pronounced dead by District Medical Officer Dr. Reginald O’Loughlin. According to residents of the area, the report of gunfire was heard in the vicinity of Richardson’s home at about 9:15 p.m. on the day in question and someone had reported the matter at the Stapleton Police Station, which is a short distance from where the deceased man resided. On condition of anonymity, an individual stated that the police’s response was immediate and on arrival at the scene they found the door to Richardson’s home was “either kicked-in or damaged by the use of some other force, which provided the unknown assailant easy access to commit the heinous crime”. The individual also said that only a few weeks ago a gunman or gunmen had fired a number of shots at Richardson’s home but he did not suffer any injury. The Observer was also told that Richardson had hailed from McKnight and was sometime in the past shot within a house at Cardin Avenue, which resulted in him being wheelchair bound. This media house had contacted a senior officer of the Police Force for a comment on the incident, but he refused to do so and stated that “a press release will be disseminated to all media houses with the relevant details”. Richardson’s death is the ninth homicide to have been committed in St. Kitts for the year and the 12th for the Federation. Next articleTrio face Growing Charges.